Care4You is very proud to feature San Dimas H.E.R.O.E.S. as our Community Partner! Thank you for everything that you are doing as a volunteer group to honor our most respected Heroes! Well done!! The Mission of San Dimas H.E.R.O.E.S. is to honor all current military personnel through their banner program and all past, present and future San Dimas residents who have served our country by constructing a permanent Veterans’ Memorial. If anyone is interested in volunteering with San Dimas H.E.R.O.E.S., please contact them via their email address or phone. They will really appreciate your help! They will be holding their Annual Veteran’s Day Celebration on Monday, November 12, 2018 at 4pm. The event will be held at Freedom Park in San Dimas. In addition to all veterans being acknowledged, this year special recognition will be given for all San Dimas Korean War Veterans. The ceremony will include the unveiling of San Dimas Veteran names that have been added to the veteran’s wall this year. Other activities will include the raising of the new military flags, a bagpiper, the San Dimas High School choir, and much more. The event is open to the public. Seating is limited so you might want to bring your own chair. Care4You is very proud to feature the Alzheimer’s Association as our Community Partner! The work that you do everyday is a real service to our communities, not only to educate but also to move towards a real goal to help find the cure for this very difficult disease! From all of us who walked with you on September 16, 2018, (see here>) and all who walk with you daily…thank you for being there for us!! The Alzheimer’s Association is the leading voluntary health organization in Alzheimer’s care, support and research. Our mission is to eliminate Alzheimer’s disease through the advancement of research; to provide and enhance care and support for all affected; and to reduce the risk of dementia through the promotion of brain health. The Alzheimer’s Association California Southland Chapter provides free educational programs, support services and care consultations across Los Angeles, Riverside, San Bernardino, Kern, Tulare, Kings and Inyo counties while also supporting critical research toward a cure. To find a support group, program or regional office near you, contact our 24/7 Helpline at 800.272.3900. 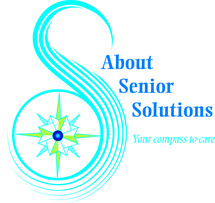 Care4You is proud to feature About Senior Solutions as our Community Partner! The commitment and dedication to provide excellent care to those who seek their services makes them so very special! Thank you for all that you do in your endeavors to show your professional and very thoughtful spirit! About Senior Solutions is a senior resource, evaluation, placement and advocacy organization dedicated to serving the needs of aging seniors and their family members. The organization was founded by a professional woman passionate about providing families with solutions to health care dilemmas that families were in crisis over. They understand that sudden or gradual changes in a senior’s health can create a great deal of emotional concern and create overwhelming anxiety for families. When families are caught in the merry-go-round of health care options and what the best things for their loved one is, they turn to About Senior Solutions for the answers. Care4You is proud to feature VITAS Healthcare as our Community Partner! Their kind and caring spirit is well known in the community. Thank you VITAS for everything that you do in service to those in need at what can be such a difficult time in their lives! It is comforting to know that you are there so willing to help! VITAS Healthcare provides end-of-life care for adult and pediatric patients with life-limiting illnesses. We work with patients and families to provide comfort and preserve dignity in the face of terminal illness. Hospice is about living with comfort and dignity during the last months, weeks and days of life. It is a commitment to caring for those who have a life-limiting illness. By promoting comfort, palliative care allows people near the end of life to live more fully at home, wherever that might be, surrounded by family, culture and tradition. Hospice is not about losing hope or about giving up. Hospice is about redefining hope: hope for a richer, more peaceful end-of-life experience; hope for an easier transition for your family through sensitive grief support. When everything is changing, VITAS helps things stay familiar. We help patients stay home and in the Southern California area whenever possible—whether home is a private residence, an assisted living or long term care facility, or even a hospital room. We work with patients’ personal physicians, so patients keep the doctors they know and trust. No matter where care takes place, we coordinate closely with all caregivers, spiritual advisors, families and friends to ensure the patients’ optimal well-being. VITAS is experienced in palliative care, a field of medicine that focuses not on curing illness but on actively managing pain, symptoms and spiritual and emotional needs so patients can have the best quality of life possible. Palliative care is a component of hospice care. As a palliative care pioneer, VITAS has developed effective protocols that are customized for each patient and family. Lilacs & Greensleeves: CP; Office of the District Attorney, Los Angeles, CA. 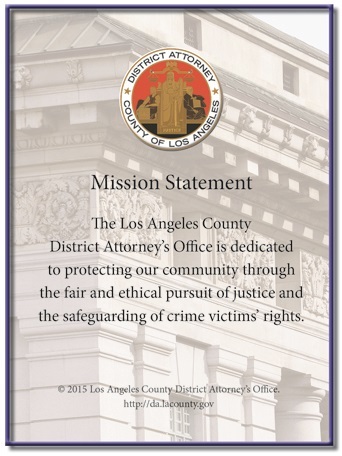 Care4You is proud to feature the Office of the District Attorney Los Angeles as our Community Partner! We very much appreciate the work being done in this very important office for the safety of everyone in our community!! The Los Angeles County District Attorney’s Office is the largest local prosecutorial office in the United States. Members of the District Attorney’s staff strive to vigorously, effectively and fairly prosecute all those who break laws in Los Angeles County and see that those convicted are appropriately punished. The office’s top priority is the prosecution of violent and dangerous criminals – murderers, rapists, gang members, child abusers and robbers among them. Nearly 1,000 attorneys, known as deputy district attorneys, prosecute more than 71,000 serious crimes called felonies throughout Los Angeles County each year. They also prosecute roughly 112,000 less serious crimes known as misdemeanors in unincorporated areas and in 78 of the county’s 88 cities. Ten cities, including Los Angeles, Long Beach, Santa Monica and Pasadena, have city prosecutors who handle misdemeanor crimes and municipal code violations that occur within their jurisdictions. Deputy district attorneys are prosecutors who represent the people of the State of California. They review investigations conducted by law enforcement agencies and decide whether there is sufficient evidence to file criminal charges. They also decide what charge or charges, if any, are appropriate based on the evidence presented. Prosecutors handle court proceedings, including trials, that may follow the filing of criminal charges. The District Attorney’s Office prosecutes cases in a large geographical area covering 4,083 square miles. Its jurisdiction stretches from the Antelope Valley to Long Beach and from Pomona to Malibu. Los Angeles County, with more than 10 million residents, is the nation’s most populous county – larger in population than 42 states. Elder abuse is a rapidly growing criminal problem. As the baby boom generation grays and life expectancy increases, incidents of physical, emotional and financial abuse against elders are expected to grow unless steps are taken. Detection of abuse, neglect and fraud is critical. One of District Attorney Jackie Lacey’s top priorities is safeguarding seniors from financial crimes. Her mother was the victim of a telephone scam. She initiated a public education campaign in partnership with the Rotary Club of Los Angeles, in which the District Attorney’s Office trains and equips Rotary Club volunteers to educate seniors on how to protect themselves against fraud. As part of this campaign, these web pages include important information about the warning signs of possible criminal activity involving financial fraud. There also is important information on physical abuse, emotional abuse and neglect. If you are concerned that a senior is being victimized, please contact your local law enforcement agency and/or the Los Angeles County Elder Abuse Hotline 1-877-4-R-SENIORS (1-877-477-3646). You also may report elder abuse online at this Los Angeles County Adult Protective Services website (https://fw4.harmonyis.net/LACSSLiveintake/). View additional resources on keeping seniors safe. Care4You is very proud to have Central Park in Rancho Cucamonga as our Community Partner. Thank you to everyone there for all that you do to contribute your time and talents for the benefit of the Seniors in your community! Central Park is a 57,000-square-foot facility located at the North West corner of Milliken Avenue and Base Line Road, just a short distance west of the Interstate 15 in between the 10 and 210 Freeways in Rancho Cucamonga. The 2005 dedication of the James L. Brulte Senior Center and Goldy S. Lewis Community Center at Central Park marks the completion of the first phase of their 103 acre Central Park project. Additional Phases will be planned as funding becomes available. The James L. Brulte Senior Center and Goldy S. Lewis Community Center are two centers, built under one roof. The building was designed with a warm and welcoming feel with an “early California” motif. Together with inviting fireplaces, comfortable conversation seating areas and a wide variety of flexible rental space; the facility provides for endless possibilities as a venue. Their two main event halls can be combined with their open courtyard area to accommodate an expo or conference. Whether you’re hosting a business meeting, wedding or large conference, their stunning interiors, event spaces and on-site services will help you create a memorable event. Care4You is honored to feature Huntington Geriatric Medical Group as our Community Partner! The commitment and dedication to provide excellent care to those who seek their services makes them so very special! Thank you for all that you do in your endeavors to show your professional and very thoughtful spirit! Huntington Geriatric Medical Group is the premiere resource for seniors in Pasadena and the San Gabriel Valley Area for comprehensive medical care. With the ability to provide care in the patient’s own home, to caring for patients in all other traditional clinical settings, their dedicated, compassionate providers are available and on call-24 hrs a day for their patients. Huntington Geriatric Medical Group is a health care organization dedicated to providing high-quality, timely and creative health care for all their patients. Their success depends upon all personnel committing to the groups desire to place the patient’s needs first. They will achieve this by developing teamwork, mutual respect and the skills of all the groups personnel and health care providers. They are committed to the long-term continuity of this Medical Group through consistent growth, sensitivity to quality of life and Peace with Every Step Forward – Confident & Supported. 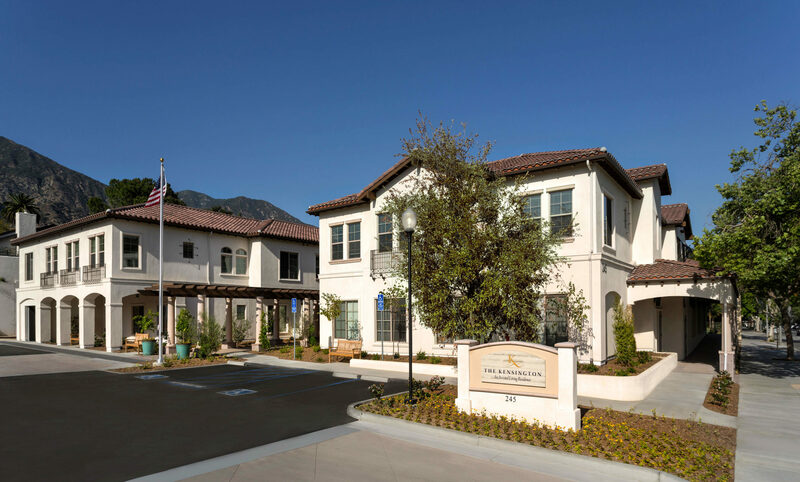 The Kensington is an assisted living and memory care residence located in the San Gabriel Valley in the heart of Sierra Madre. It is the realization of the vision of passionate leaders in the senior living industry. This industrious group imagined and then developed a community that takes the assisted living model of care to a higher level in an environment of comfortable eloquence, staffed by loving professionals. The Kensington is designed to be home for seniors who need assisted living and memory care services. They believe the comfort of familiarity is precious, so their enhanced program enables them to offer care beyond what the traditional assisted living community can deliver. They offer a full spectrum of including clinical support, including end-of-life care. No resident needs to move out if assisted living health care needs change or increase. 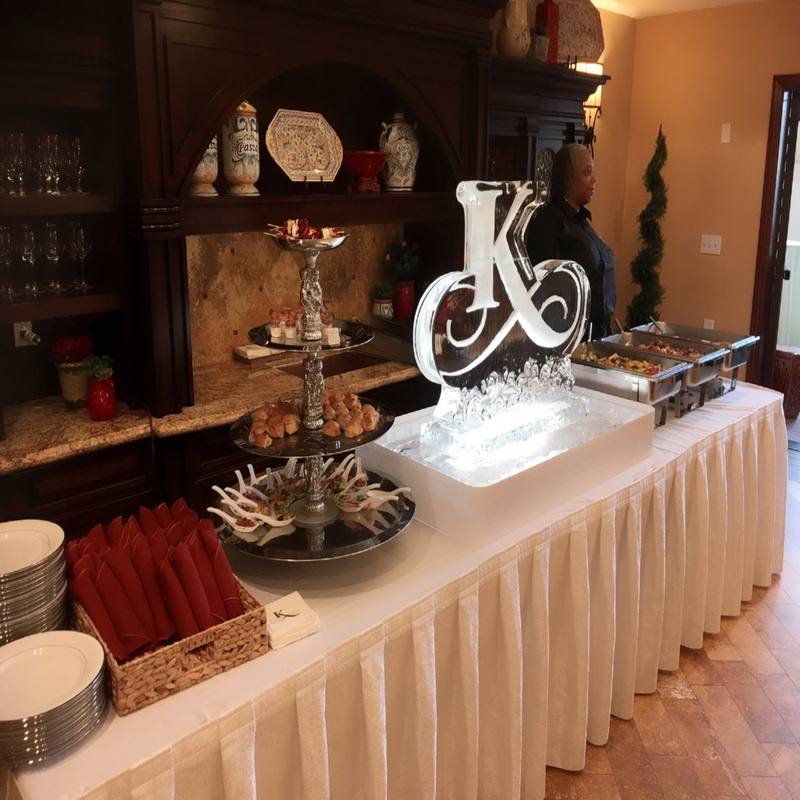 For those with memory loss, the Kensington offers two levels of care in specially designed neighborhoods. Connections is for residents in the early to middle stages of memory loss. Haven is for residents in the middle to late stages. Their multifaceted program is geared to support not only residents but also their families. 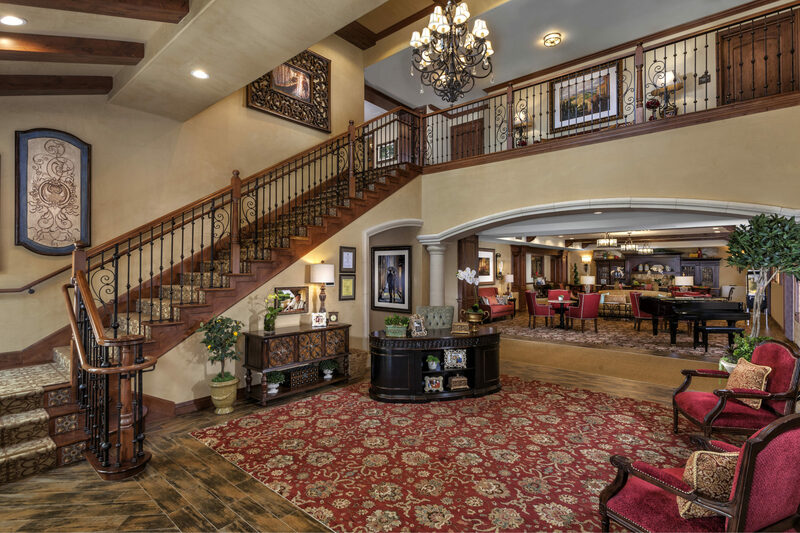 The Kensington weaves heartfelt, professional care into the everyday lives of residents. With a high degree of sensitivity, their caregivers help residents patiently with even the smallest of tasks; watch carefully for cues when they should provide more support; and retreat when appropriate so residents can remain as independent as possible. They find or create ways to help residents feel comfortable, secure, happy and dignified. The Kensington offers a wide range of services and amenities so residents can live securely, unburdened and well attended in a beautiful community they’re pleased to call home. They want life to be as enjoyable for their residents as possible, so they assume many of the demands of daily living. This makes more room for pleasure, such as dining leisurely with family, pursuing hobbies, relaxing with a bestseller in the library or sipping cocktails each afternoon. Care4You is very proud to have Lori Michiel Fitness as our Community Partner! What an incredible team of trainers Lori has working alongside her, helping us to achieve our greatest potential in health and fitness. Lori Michiel Fitness professionals are passionate and enjoy helping seniors improve their well-being as they age. That really touches our hearts here at Care4You as we are involved in helping to take care of our cherished clients each day! Thank you so much Lori Michiel Fitness, for all you do to reach out to our communities and help as many people as possible so they can be the best that they can…strong and fit! Lori and her team of trainers treat you with care, dignity and respect. They understand the best approach to help you reach your fitness goals while maintaining safety as their first priority. Lori Michiel Fitness does not believe in the “one size fits all” or a factory-style workout. Their trained instructors and physical therapists have a knowledge-based foundation in order to design a program specifically for you. A special concern for many seniors today is Fall Prevention. Taking one of the achievements above, ‘Improved Balance’ Lori and her trainers at Lori Michiel Fitness offer help to those in our community who wish to address their own concerns about falling. You know it when you feel it. If you find yourself needing to sit down to take off your shoes, it might be time to start paying attention to your sense of balance. People don’t usually think about balance until they fall or know someone they never thought would. There are signs that cannot be ignored such as holding onto hand rails to go up and down the stairs, wavering as you step into a pair of pants, missing the lip on a curb. These situations can be an early warning sign that your stability is starting to decline. Once recognized, it is important not to dismiss the signs because loss of balance is usually treatable, but will often get worse if ignored. A formal assessment may not indicate balance issues, but does help predict the chances of becoming “one with the floor”. 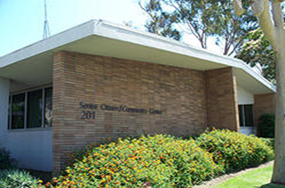 Care4You is honored to have the San Dimas Senior/Community Center as our Community Partner. Thank you to everyone involved in serving our community. We appreciate you!! 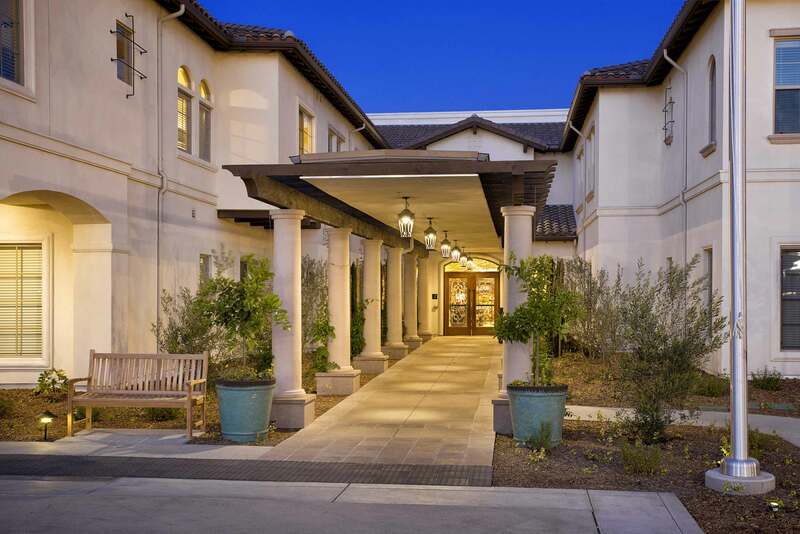 The San Dimas Senior/Community Center is dedicated to offering services, events and activities that help enrich the lives of their community’s older adults. They accomplish this in collaboration with different agencies to provide a menu of services such as nutrition, health information, recreation classes, life-long-learning opportunities and special events within a fun and welcoming environment. For over 20 years, the San Dimas Senior Citizen/Community Center has been a vital resource for older adults in San Dimas and surrounding communities. The Center remains a trailblazing facility thanks to the many participants who contribute their talents, knowledge, ideas and concerns. Their staff is dedicated to providing a variety of exciting programs that respect the vitality of older adults. They hope to see you soon! Do you want to view a few easy ways to stay connected, share your talents, contribute, and get inspired?